The midfielder returned to the group and Cholo tried with him as the second point, accompanying Morata. It remains to be seen if Savic or Godín arrive for Eibar. El Atlético has begun to prepare the visit to Eibar next Saturday. After two days of rest, the team has trained with the casualties of Savic and Godín. The two remain still convalescing. Those who have been with their colleagues have been Diego Costa and Lemar. The first came working on the sidelines and will be low for the remainder of the season by penalty. Lemar, on the other hand, lost the duel with Celta due to injury, but he is back. So much that Simeone has tried with him as a comrade in Morata, since who can not be sanctioned is Griezmann either. The seven saw the fifth yellow against Celta. 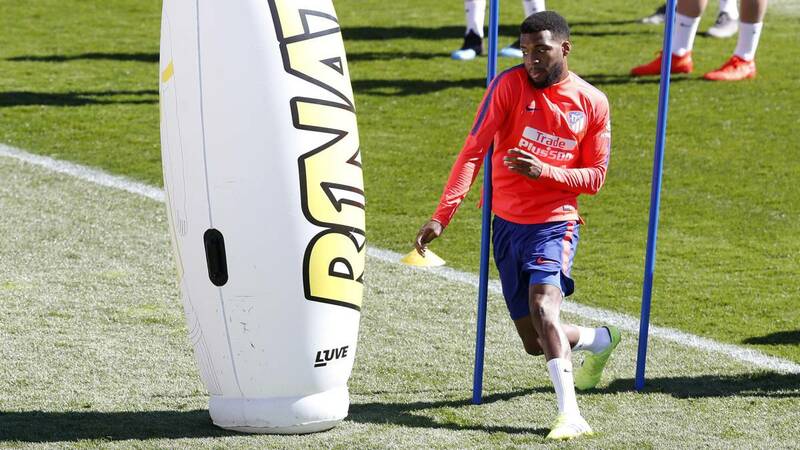 Thus, Simeone has rehearsed with a team of field players formed by Juanfran, Giménez, Montero, Filipe; Correa, Rodrigo, Koke, Saúl; Lemar and Morata. It is the first test of the week and it remains to be seen if Savic or Godín recover in time to travel to Eibar.